Crafted from double canvas, this ample tote is both lightweight and sturdy. 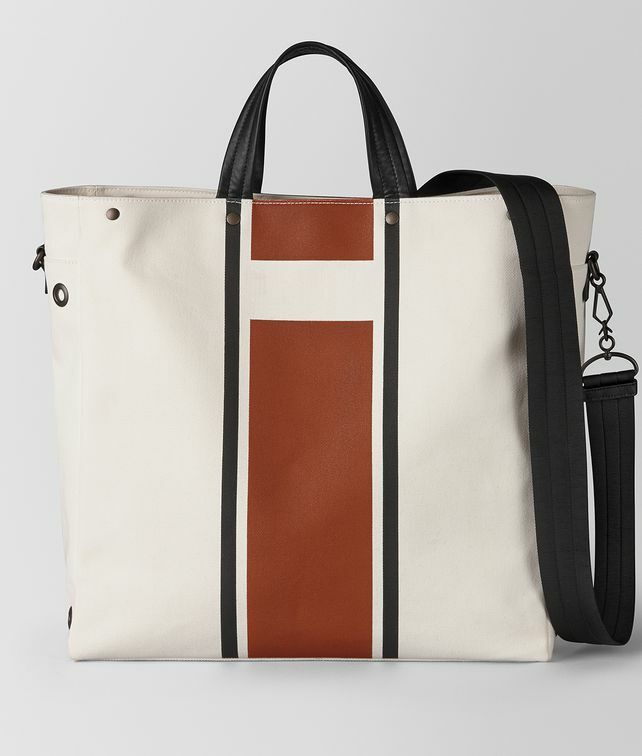 The bicolor serigraph stripes and brunito-tone eyelets add a sporty note, inspired by sailing and nautical sports. The style is accented with soft nappa leather handles and a wide ribbon strap that can be adjusted and detached. Fitted with an internal zip pocket.